Alarm bells were ringing when yesterday’s starting eleven for the game at Crystal Palace was announced, and we saw that Alberto Moreno would be lining up against Wilfried Zaha. Thankfully, the Spaniard enjoyed one his better games in recent months and avoided damaging his team’s chances with any abysmal defending. Midfielder Emre Can was one man who was pleased for the left-back after his display in the 4-2 win. 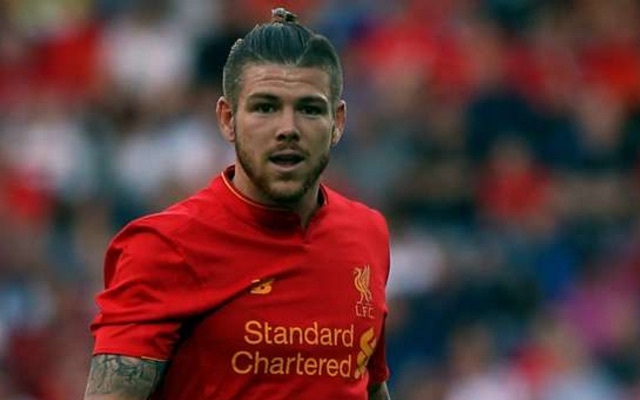 Moreno’s attacking threat has never been a problem, and he proved that when he provided the assist for Can’s opening goal. It has always been the defensive side to his game that has been the worry, but he showcased signs of improving on that on Saturday. There is a lot for him to work on, however he went about his business in a more sensible fashion than we have seen from him in the past. When he needed to put his foot through the ball, he did. When it was the right time to play out from the back, he did. When it was the right time to join in with the attacks, he did- more often than not, anyway. The ease at which he let Zaha put in the cross for James McArthur’s second goal marks the one moment he let himself down. Stopping the cross is key as a Liverpool fullback and he needs to remember that. It was a small step in the right direction for him. There is still a lot to work on, though.